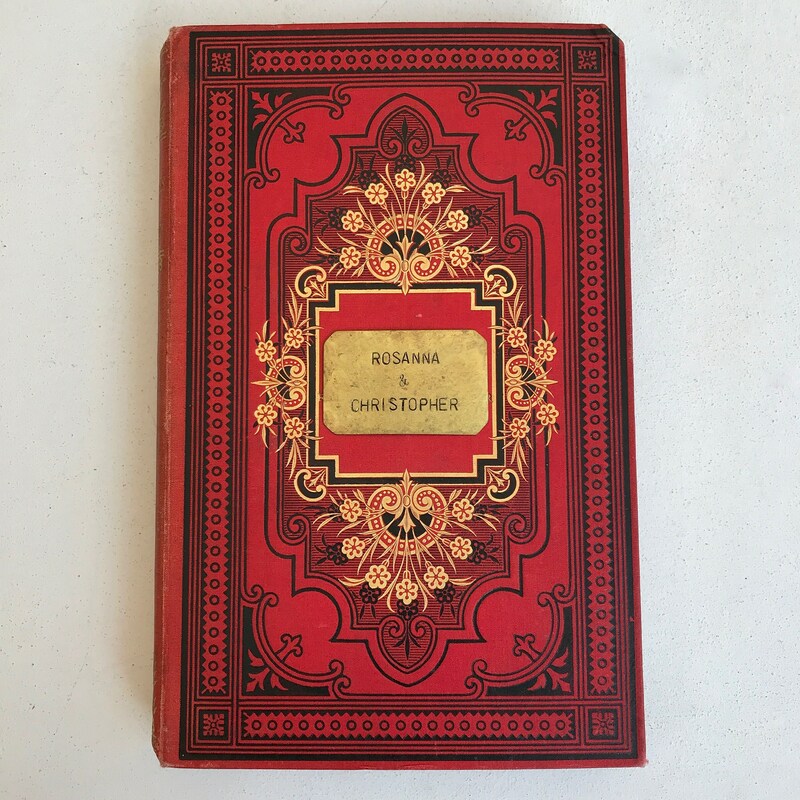 This antique French book published in 1785 will make the perfect fairytale wedding guestbook with it's romantic gilded cover and ornate design. 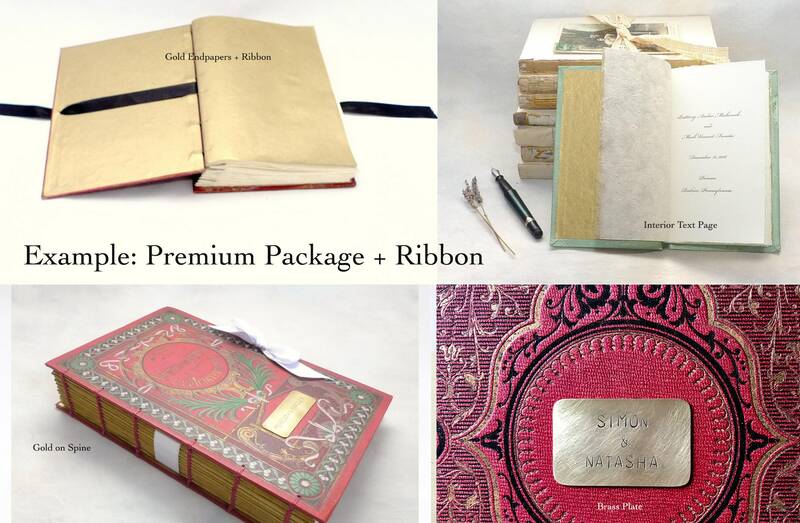 A unique hand bound keepsake for your treasured memories, made exclusively by Spellbinderie in France. Book measures 6 x 10" (15,5 x 25cm). 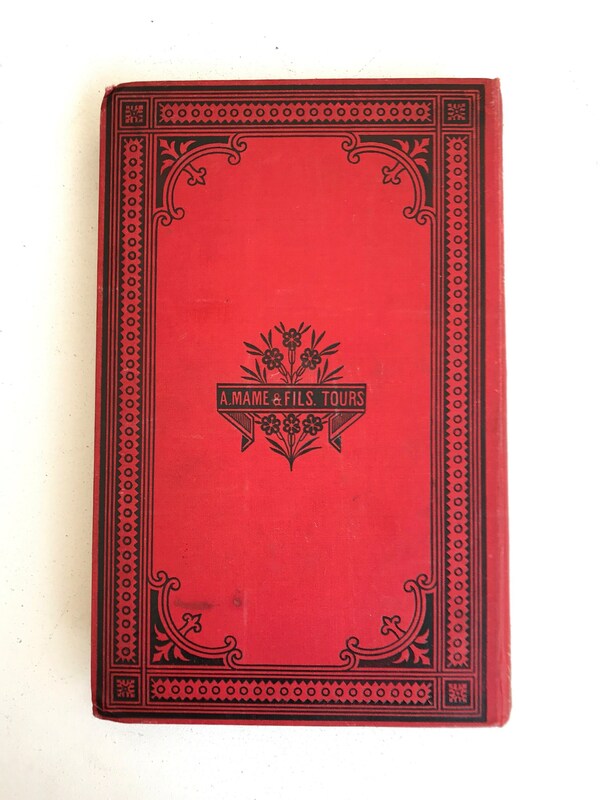 The book will be taken apart then the gorgeous cover rebound with quality paper in an exposed spine Coptic binding style. 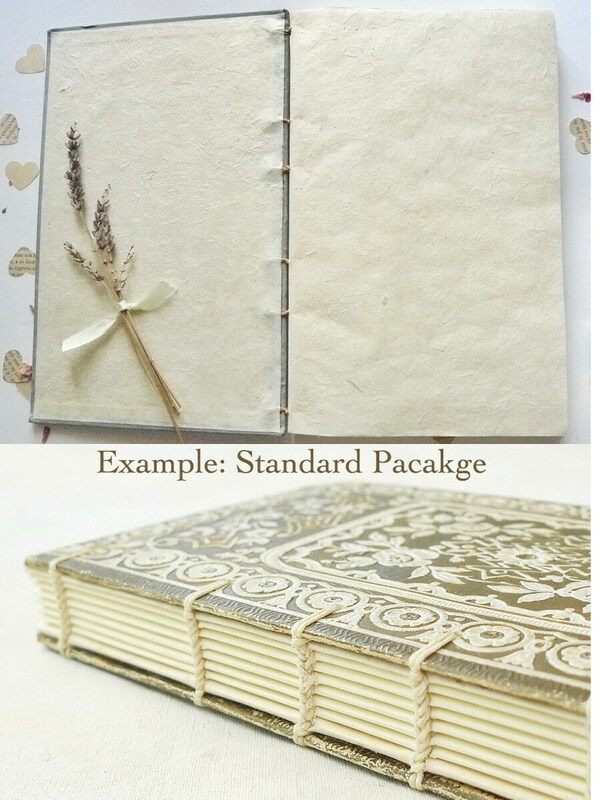 This pretty binding method allows the book to open flat making the guestbook easier to sign. Choice of STANDARD or PREMIUM package. Possible to mix and match options, contact me to discuss and receive a price quote. 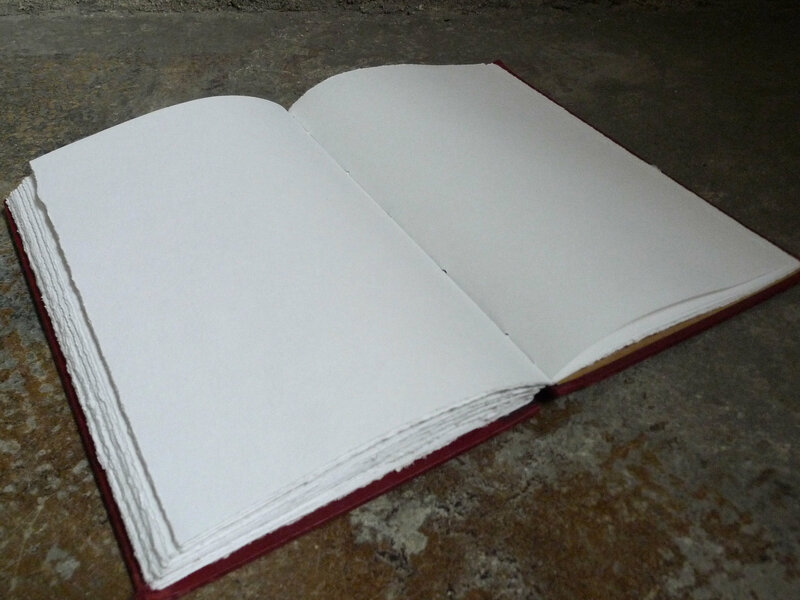 120 pgs (front and back) hand torn ivory paper, quality sustainable Cream Lokta endpapers and a brass plate on the cover with your first names or a date in numerals. 120 pgs of hand torn ivory paper, luxurious Gold lokta endpapers, Gold Lokta paper on spine, first page with short text printed in a vintage font and a brass plate on the cover. 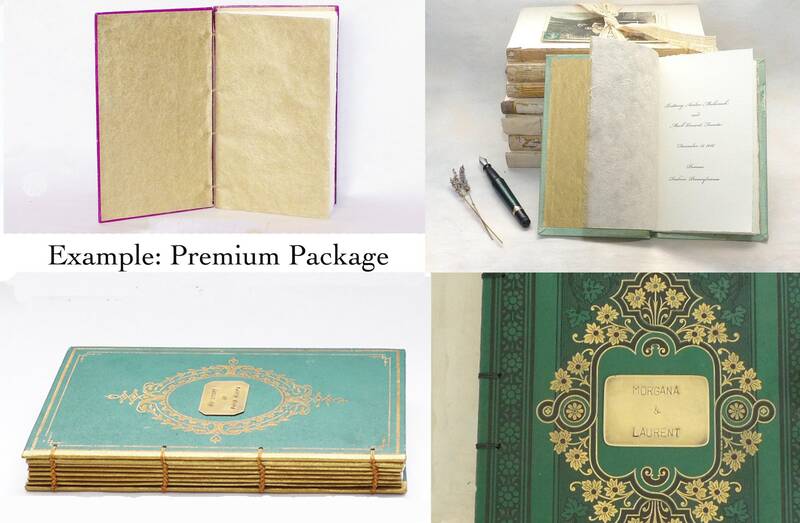 Your guestbook is made to order, please see estimated processing time before purchasing. 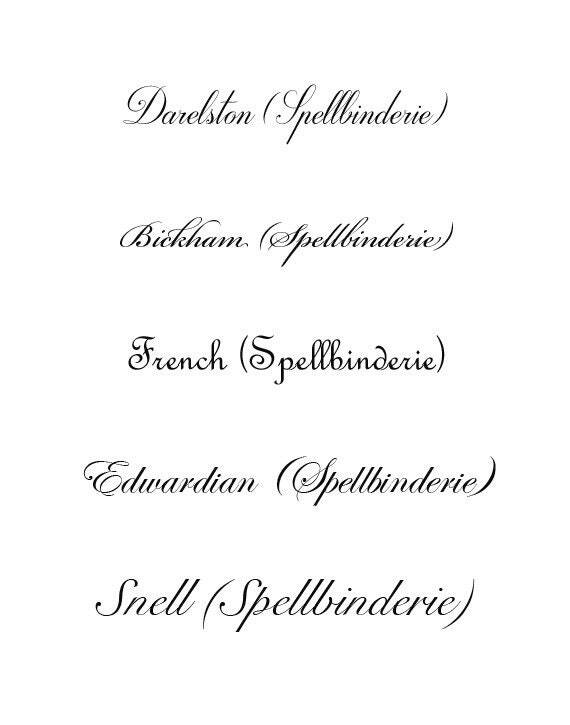 Spellbinderie is located in France, allow at least 2 weeks for shipping.